As we get older, we face a number of changes in our general health and wellness. It’s all a part of the natural aging process, and it should come as no surprise that these changes can affect our vision. Thankfully the team at Papale Eye Center have a number of treatment options for patients. Our springfield corrective eye surgery center offers a number of treatments that will be able to address the eye care needs of patients of all ages. 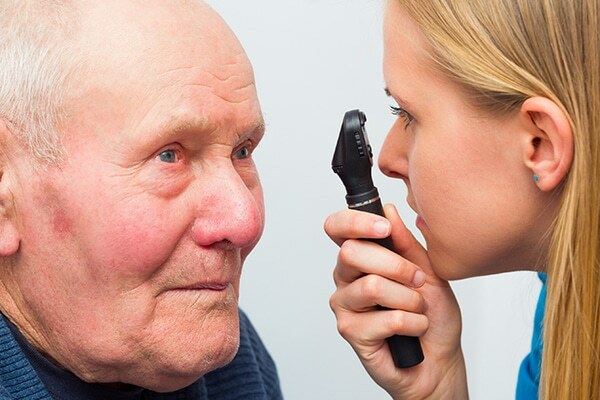 With that in mind, let’s briefly cover some eye conditions that affect elderly patients. 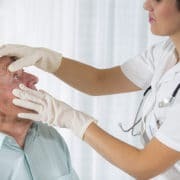 Cataracts refers to the clouding of the naturally clear lens or lenses of the eye, typically caused by long-term wear and tear, eye injuries, and UV ray exposure. This condition is common in the elderly, and it can severely affect the overall quality and clarity of a person’s vision. The most common signs and symptoms of cataracts are the clouding of the lenses of the eye, which has a distinct milky/white appearance. When the lenses become cloudy, this can lead to hazy or blurry vision, and issues with light sensitivity. For minor cataracts, sometimes the best option is to simply use corrective lenses to improve vision quality. When cataracts are serious, the best option to consider is surgical removal of the clouded lens of the eye. An IOL may then be placed to improve vision quality. Presbyopia is a type of farsightedness (hyperopia) that sets in starting at about age 45. This natural part of the aging process is caused by the lenses of the eye losing their flexibility and ability to focus. The most common sign of presbyopia is the increased difficulty in seeing nearby objects. Many people may find it difficult to read small print or to read in general without ample light. Presbyopia can be treated in a number of ways. For one, corrective lenses such as bifocals or the use of multiple pairs of glasses is common. Monovision laser eye surgery is also helpful as well. In some cases, patients may have their lenses replaced with an intraocular lens (IOL), a type of artificial lens. 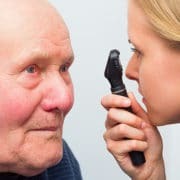 Also known as AMD and ARMD, age-related macular degeneration refers to an issue caused by blood vessels damaging the central portion of the retina (the macula). AMD is the leading cause of vision loss in people who are 65 or older. Common signs and symptoms of AMD include blurriness or vision loss in the central portion of one’s vision, problems with color perception, the apparent curvature of lines that are in reality straight. There are different kinds of AMD (wet and dry), and treatments can be tailored to specifically address a patient’s needs. Wet AMD can be treated with anti-angiogenic medications that help prevent formation of new blood vessels. Special laser therapy may also be considered to address major central vision loss. Glaucoma is a serious and irreversible form of permanent vision loss. 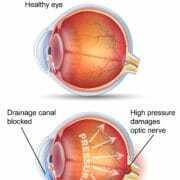 It’s caused by increased pressure inside of the eye damaging the optic nerve. While not linked to advanced age per se, people tend to experience glaucoma much later in life. The most common signs and symptoms of glaucoma are issues with vision loss in the center or periphery of the field of vision. In some cases, glaucoma may also cause eye pain and headaches. Treating glaucoma means stopping the vision loss or slowing the rate of vision loss. 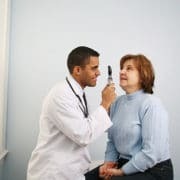 This can be done through the use of special medications, though surgical drainage of the eye may also be considered to help alleviate some of the intraocular pressure. For more information about treating advanced eye care issues and helping you see clearly again, be sure to contact our advanced laser eye care center today. The team at Papale Eye Center is here to help you have great vision no matter your age.